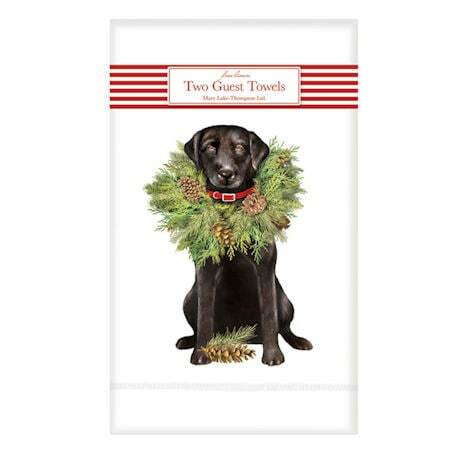 Whether you're a cat-lover or a dog person, this wintry kitty and festive pup will add a touch of charm to any powder room. Our 55% linen/45% cotton guest towels (21"x14") make the perfect holiday accent, sure to bring a smile to even the grumpiest Scrooge's face. Pair the towels with the matching 12-ounce liquid hand soap - in mint (Snow Cat) or balsam (Wreath Dog) - to add the fresh scent of Christmas and complete the look. 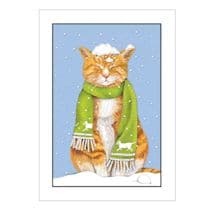 See Snow Cat Guest Towels here.